I’ve been neglecting the blog, but I have a ton of entries stockpiled up so there is about to be a bunch plopped down on here! One of my favourite vegetables out there is the Golden Beet. For some reason they are really hard to find, and just magically appear once in awhile. I got some in my Spud harvest box this week, so a happy dance commenced in my kitchen and I decided I wanted to try something new with them, chips! Ok, I admit, the golden beets were not the inspiration behind the chips idea…I got a new mandolin last week and have been itching to try it out. New kitchen toys are oh so fun. 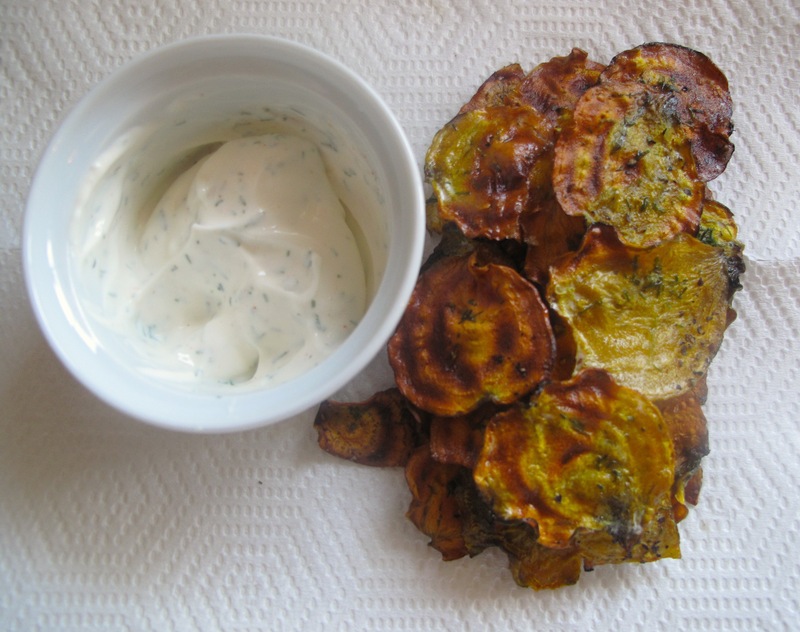 These were incredibly easy to make, super tasty (addictive even) and a very healthy alternative to its fried counterpart. The dip shown here is just a super simple mix of sour cream, garlic powder, dill and paprika. 1. Preheat oven to 325°. 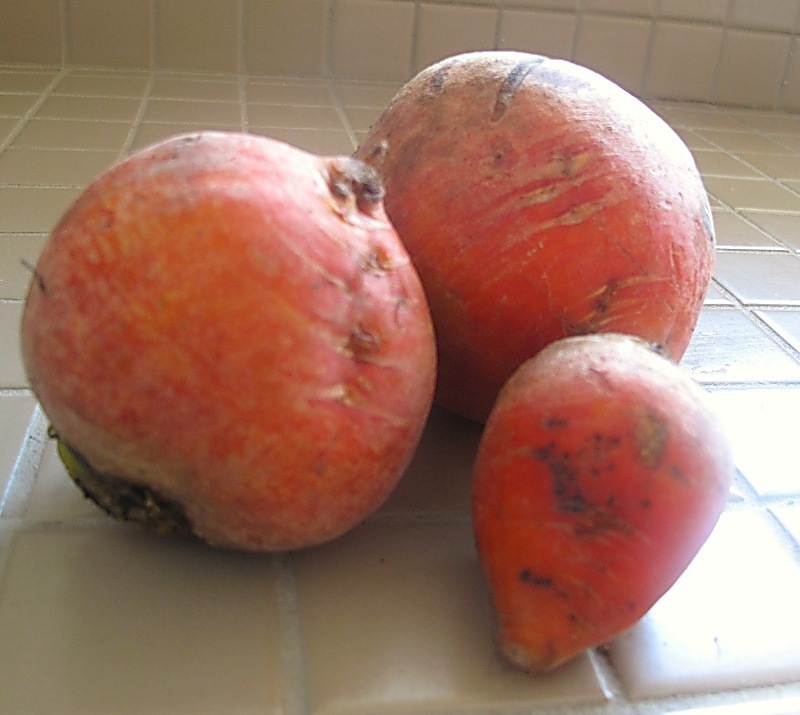 Slice beets thinly with a mandolin or super sharp knife. If using a knife, try to keep thickness as consistent as possible. 3. Lay beets on a baking pan that has been lightly sprayed with cooking oil and bake for 15 mins. Flip and cook for 15 mins more, or until beets are crisp. 3. Remove from oven, sprinkle with salt and pepper and let beets sit on pan for a few minutes before transferring to paper towel. Enjoy! This entry was posted in Snacks, Vegetables and tagged baked, beets, chips, crisps, golden beets, healthy, mandolin, snack by Karina. Bookmark the permalink.